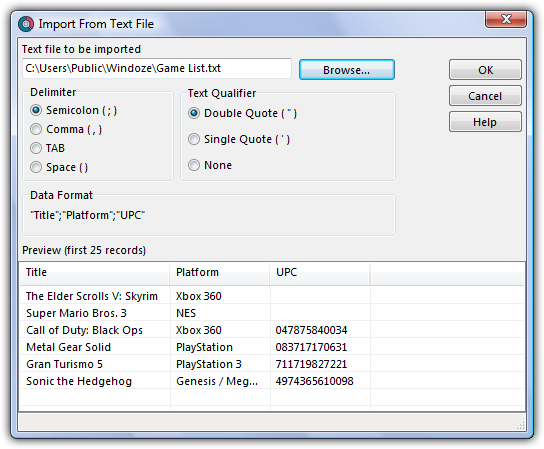 With Game Collector you can import a .csv or text list. 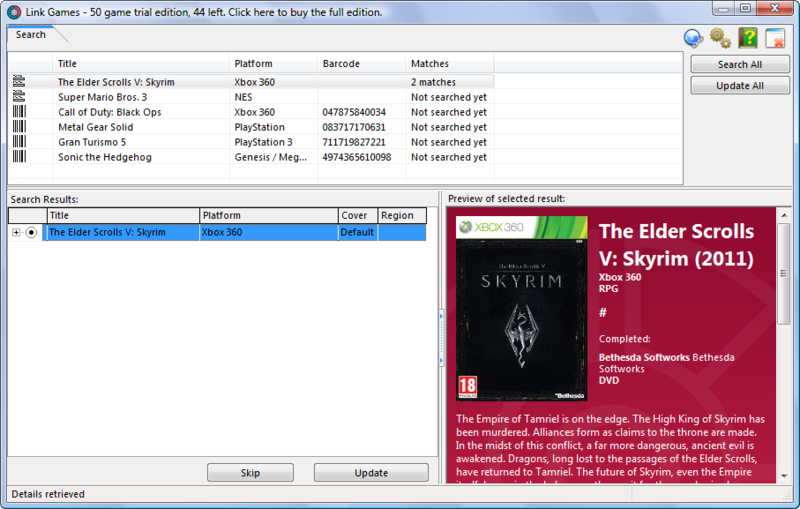 Game Collector’s text import is limited to these fields: Title, Platform and Barcode. It is not possible to import any additional fields. * Your text file must contain only these fields, and must also use the same order: Title, Platform and Barcode. Create a *.txt or *.csv file with a text editor program such as Notes or TextEdit with all your “to be imported” games (you can also export to a *.txt or *.csv file from your Spreadsheet program). A message will appear asking you if you’d like to link your games, click Yes.